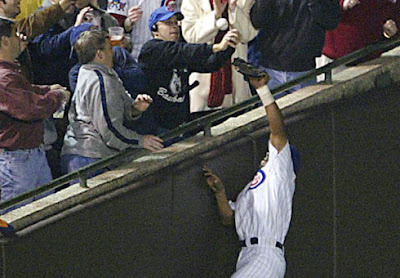 Here's hoping Bartman doesn't blow this one, too. Mark Grace invented the term, but can Sarah Spain execute the ultimate slump buster. You might remember Spain as the girl who auctioned herself off as a date for Chicago Bears Super Bowl Tickets. And even though that didn't end well, Spain thinks it's time to "take matters into her own hands." ’til the Cubbies get a ring"
Move over Steve, I got dibs!